Based on a total of 136,140 hip fractures, we found a distinct seasonal variation in hip fracture incidence present in subgroups defined by age, gender, and comorbidity. The seasonal variation was most pronounced in the youngest and the healthiest patients. The purpose of this study was to examine the possible seasonal variation in hip fracture incidence in Norway by comorbidity, age, and gender. 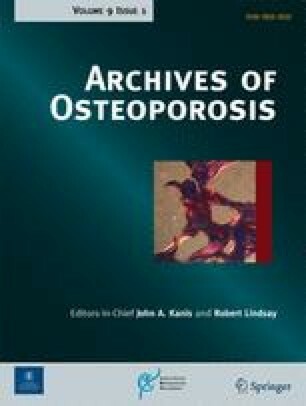 Data were retrieved from the NOREPOS Hip Fracture Database containing all hip fractures in Norway during the time period 1994–2008. Hip fractures were identified by computerized hospital discharge diagnoses. Charlson comorbidity index was calculated based on additional diagnoses and categorized (0, 1, and ≥2). Summer was defined as June, July, and August and winter as December, January, and February. Incidence rate ratios for hip fracture according to season were calculated by negative binomial models. In patients aged 50–103 years, 136,140 eligible fractures were identified (72.5 % women). The relative risk of hip fracture in winter versus summer was 1.40 (95 % confidence interval (CI) 1.36–1.45) in men and 1.26 (95 % CI 1.23–1.28) in women. June had the lowest number of fractures in both genders. We found seasonal variation in all subgroups by age and gender, although least pronounced in patients >79 years. There was a significant interaction between season and comorbidity (p = 0.022). When comparing winter to summer, we found relative risks of 1.40 (95 % CI 1.31–1.50) in patients with Charlson index = 0, 1.29 (95 % CI 1.19–1.40) in patients with Charlson index = 1, and 1.18 (95 % CI 1.08–1.28) in patients with Charlson index ≥2. There was a distinct seasonal variation in hip fracture incidence, present in all subgroups of gender, age, or comorbidity. This variation should be accounted for when planning health-care services. 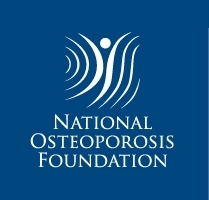 The NORwegian EPidemiologic Osteoporosis Studies (NOREPOS) is a collaboration between epidemiologic osteoporosis studies, which are sub-studies within large population-based surveys in four districts of Norway (Tromsø, Nord-Trøndelag, Hordaland, Oslo). The NOREPOS Hip Fracture Database includes all hospitalizations for hip fracture in Norway during the time period of 1994–2008.